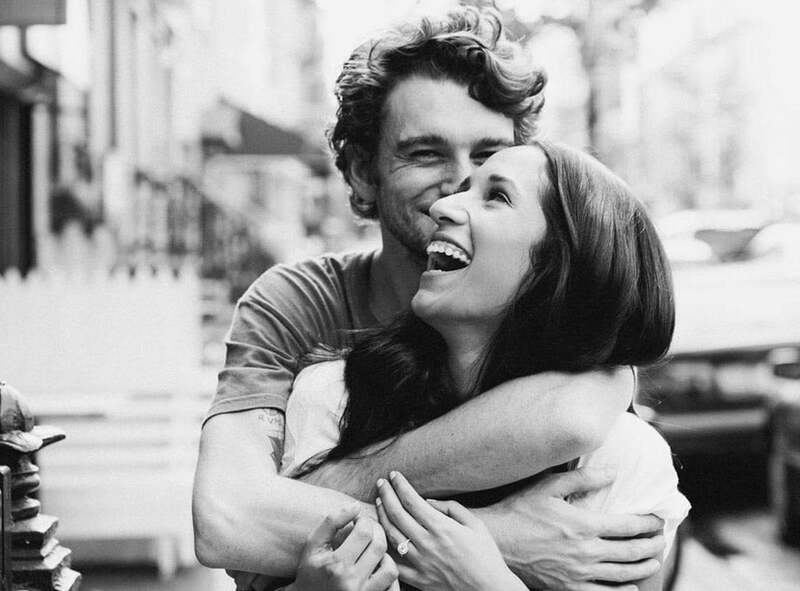 As you finalize your wedding details and prep for the big day, the most important part is remembering to take it all in. 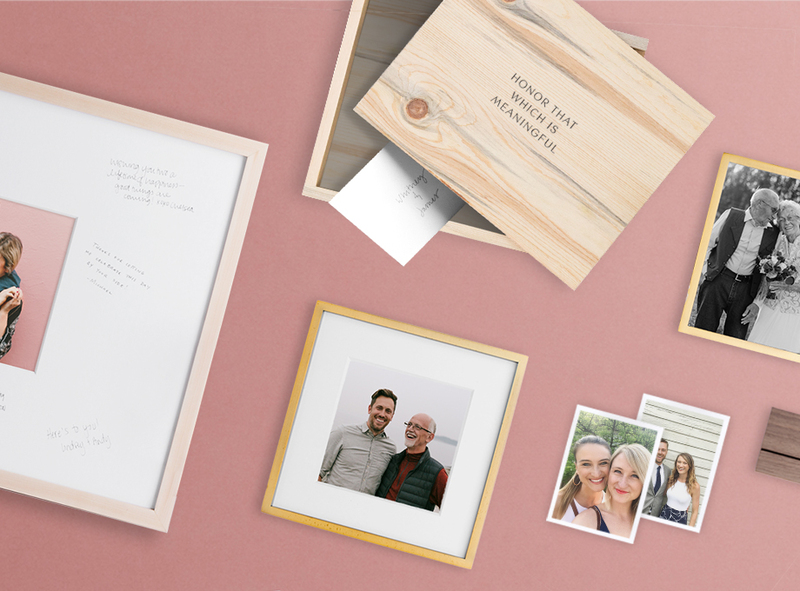 Creating a personalized photo Wedding Guest Book is a simple way to capture and celebrate the love and support surrounding you, and gives your guests a space to leave you with their best thoughts, memories, and advice for your new life together. 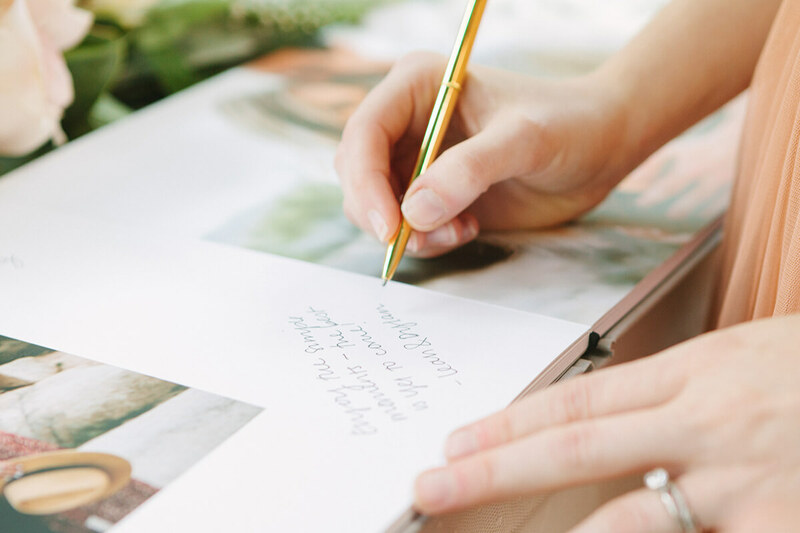 Here, we’ve gathered five tips for creating a guest book that you’ll want to look back on often, together. Balance your images with ample white space for your guests to leave their handwritten notes. If you want to showcase a full page spread on one side, choose a smaller image for the opposite side. 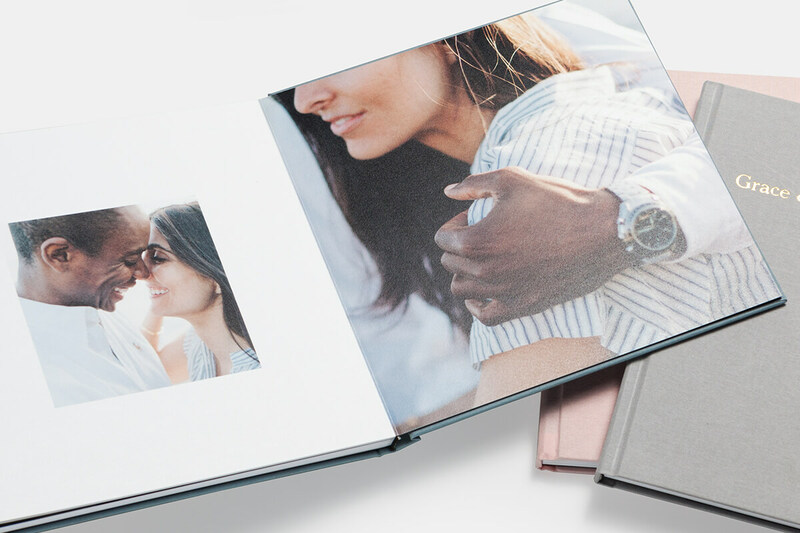 The orientation of your photos next to one another plays an integral part in the overall look of your book, but consistency doesn’t have to be key. 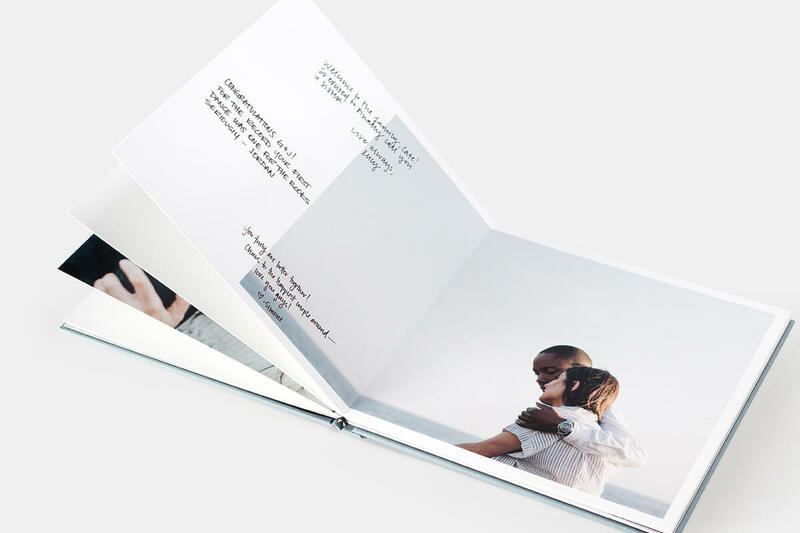 Showing variety within your spreads is sure to make your album feel carefully crafted. Be sure to keep in mind your guest count, and allow enough white space and pages for your whole party to sign. 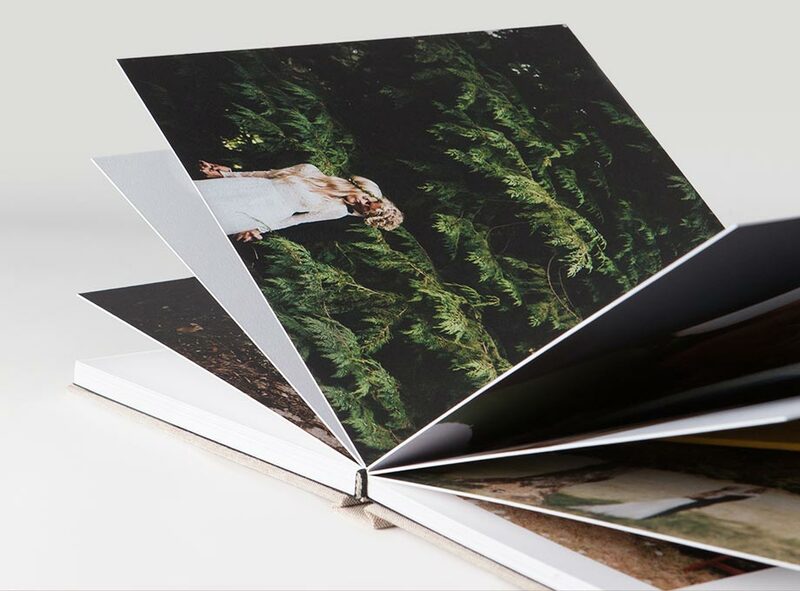 When building one of our Wedding Guest Books, you’ve got two options for paper: Mohawk ProPhoto (lustre finish) and Mohawk Superfine (matte eggshell texture). While we’re fans of both options, we’ve found that the matte finish of the Superfine paper is ideal for both your photos and handwritten notes. A fine point pen is going to be your best bet to pair with the Guest Book. After trying several options, our favorite is the quick-drying Slick Writer Pen, as they typically do not bleed. The width of the pen tip also leaves plenty of room for all your guests to pass along their anecdotes, advice, and well-wishes. 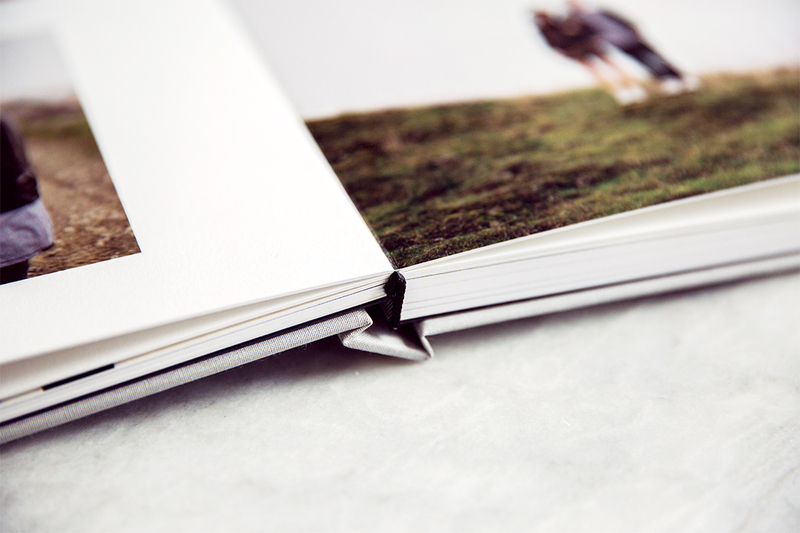 Let the book fill up with treasured messages you can look back on for years to come. Youll want to keep this one on display — filled with notes that will live on well after you say, “I do.” Feeling inspired for your big day? We’d love to see your Wedding Guest Book creations and how you make it all your own. Share your styled outcome with tag #artifactuprising. 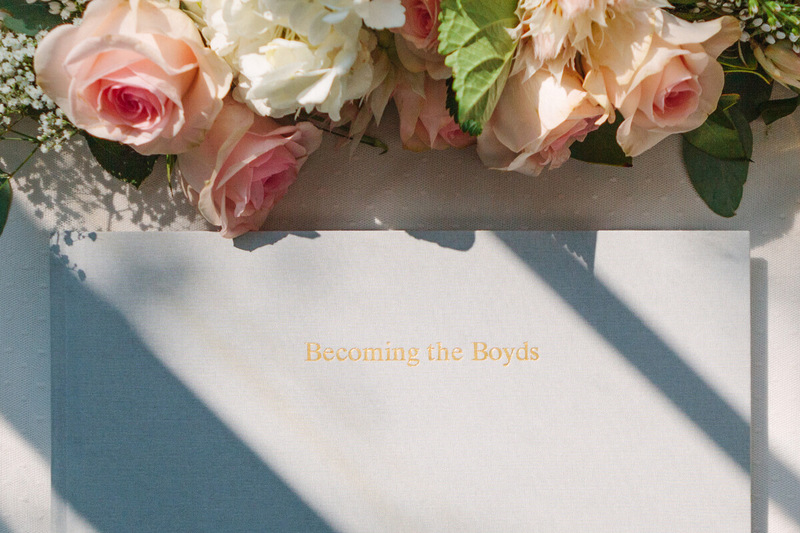 Ready to start creating your Wedding Guest Book?